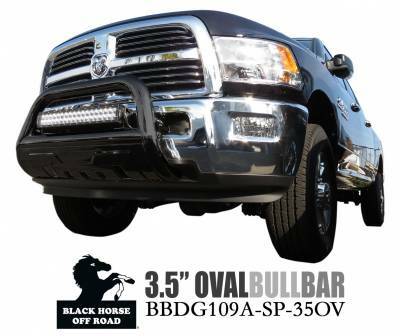 Tougher in appearance, the Black Horse Off Road Savannah Bull Bar is nothing short of the high quality that other Black Horse Bull Bars have. Measuring 3.5", this oval bull bar is made from corrosion-resistant steel that helps your vehicle maintain a strong demeanor. Grab the Savannah Bull Bar and ensure an upgraded protection for your vehicle! Manufacturers have numerous names: grille guards, winch protectors, prerunners, light bars, brush bars, bull bars, bush guards, push bars, and bush bars. Whatever you call them, all were designed with the purpose of protecting the vehicle's front end. Black Horse Off Road's Grill guards, Bull Bars, and Front Runners provide customized protection for the front end of your truck or SUV. For instance, a Toyota Tundra Bull Bar and a Ford F-250 come in a variety of styles. 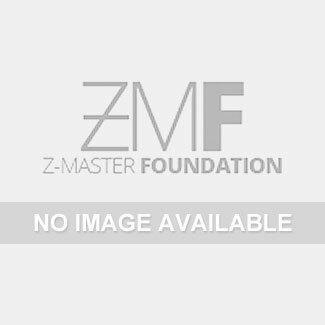 These different types of grille guards include front end grille guards that wrap over your headlights and center grill guards that only protect the middle of your front-end. Each one of our fully contoured guards is designed specifically to fit the unique design of every vehicle. Our high quality, meticulously constructed product line is sure to not only meet, but exceed your off-road demands every time. Imagine that Sierra Bull Bar on your GMC! Bull bars are designed to offer more protection than a grille guard, featuring a wide tubular design and heavy duty construction. 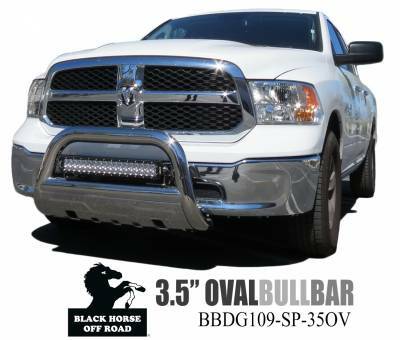 Whether it's a Dodge Ram Bar or a Colorado Bull Bar on your Chevy; Black Horse Off Road bull bars are made to directly bolt up to your specific vehicle and come complete with all the necessary installation hardware and step-by-step instructions, enabling you to mount them just about anywhere your truck is parked! Bull bars and skid plates make the ideal upgrades for Dodge trucks. Also serving as must-have upgrades for Toyota off-road drivers, they safeguard your front end, protecting your engine while keeping your grille pristine. They combine function and design to create a look of strength that's also more subtle because they don't extend upward as far as a grille guard does. And, bull bars typically come equipped with pre-drilled holes or tabs that make it easy to attach off-road fog lights or driving lights.